Group Discussion Ideas > Current Affairs GD Topics > Brexit – Impact on India? EU’s policies override UK’s national policies. UK and other member countries have to obey EU’s policies. The elected representatives of UK have no say in it. So, UK citizens term EU as undemocratic. Due to EU’s immigration policies, UK is witnessing huge inflow of immigrants and refugees. So, this angers UK citizens because it puts pressure on UK’s resources and employment opportunities. High membership charges – UK has to contribute lots of amount annually to EU’s budget. UK citizens feel that this amount can be better used for the UK itself rather than spending for EU. So mainly for these reasons more than half of the UK citizens voted in favor of Brexit in 2016, and Brexit is scheduled to happen on 29th March of 2019. 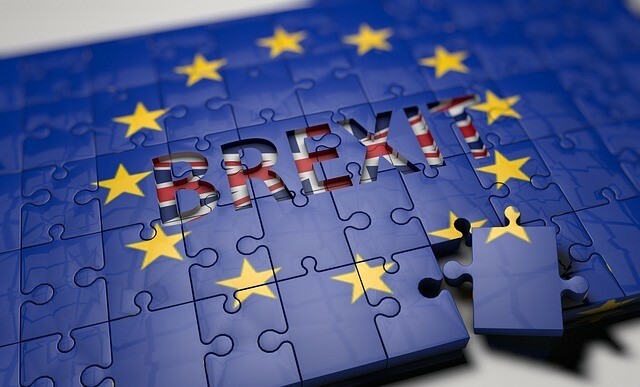 Now UK is working on the Brexit deal, which determines whether there will be soft Brexit or hard Brexit. Soft Brexit means Britain will stay closely aligned with EU. That means Britain will have access to the single market. Hard Brexit means Britain will be completely out of EU. At present, there is an uncertainty on which path Britain chooses. In the modern world, every country has trade relations with other countries. Whether it is a trade of goods, professionals or services, every country is interlinked with other countries. So, Brexit affects other countries also, and hence impact India too. India is the third largest source of Foreign Direct Investment for UK. India has companies in UK. for example Tata motors. All these companies have headquarters in UK, because they see UK as gateway to EU. There is free movement of goods and people among European Union member countries. So having a company in UK was the opportunity to market products in entire EU. But now as UK is leaving EU, Indian companies may have to open headquarters in other member countries of EU. But UK do not afford to lose India’s partnership, because India is one of the major partners for UK. So, UK may give other incentives like tax benefits to Indian companies to stay there. Till now, stringent European Union’s rules did not allow many Indian professionals to work in UK, though UK needs them. Now, UK may open up employment opportunities to Indian professionals. When the Brexit was confirmed in 2016, the value of pound fell, and though it regained a bit after that, it is still falling due to the uncertainty over Brexit deal. So, the cheaper pound will be a plus to Indian students studying in UK. And till now, UK has to reserve scholarships for the students from other member countries of EU. But now it may give those scholarships to students of other countries also, which is a advantage for Indian students in UK. As the value of pound is decreasing, for the Indian companies in UK that are earning in pounds, this will be a disadvantage. UK now has a huge current account deficit , and foreign direct investment may decrease for UK because of the uncertainty over Brexit deal. as a result of all these things UK’s GDP is likely to decrease, which inturn results in the slowdown of UK’s economy. UK’s economic slowdown will impact the countries that have trade relations with it and hence can impact India also. UK voted for Brexit, because it want to take steps to become a strong and stable economy. So, it will take towards that which is a plus to global economy, and thereby it’s a plus to all the linked countries. As we have no say in Brexit deal, whatever may happen, let’s take that as an opportunity. If it will be a hard Brexit, India can approach both UK and EU for better trade deals. And if it will be a soft Brexit, India can continue to utilize UK as a gateway to European union, and we can also strengthen ties with Britain for better co-operation. Though there will be some short term losses, everything will be adjusted according to the policies in the long term. What is your opinion on this topic? Do you think Brexit is good for India? Express your thoughts in the comment section below. Subscribe to our blog to read answers to trending GD topics.